Bell sleeves are such a unique and fun accent to any top or dress! This trend is SO popular right now!! Bell sleeves can be a little intimidating at first, but there are so many styles out there to choose from (some less intense than others). I personally am loving the bell sleeve style and all the options that are available to shop right now! This blouse from White House Black Market has sheer bell sleeves and is so beautiful. I've also been eyeing up this blush lace up shift dress from Nordstrom! What do you think about the bell sleeve trend?? The perforated trend has been around for a little while now, but it suddenly seems to be everywhere, particularly with shoes! I think it's such a fun detail and great for transitioning into the spring season. Perforated bags are so feminine and chic. I love this Chelsea28 faux leather shoulder bag, especially in purple and white (so summery)! Perforated shoes are huge right now too and come in tons of styles from flats to booties to sneakers. I love this trend in booties because the cut outs provide ventilation and you can wear them well into spring and even summer! These open toe booties at Zappos are adorable and for a closed toe bootie, I really like these (only $34.99). Scroll through below to shop my other favorites! Florals never seem to completely go out of style, but the pattern is a big trend this year. I particularly love floral prints in dresses and tops, but I've even been seeing the print in pants lately (these Old Navy leggings are too cute)! Adding some floral prints to your closet is the perfect way to update your wardrobe for this spring and summer! I've shared a bunch of options below at different price points. My favorites are this shift dress at Nordstrom and this peasant tassel blouse at Target (available in stores). I also included a few maternity options. For more maternity floral dresses, be sure to visit PinkBlush (so many adorable options!). 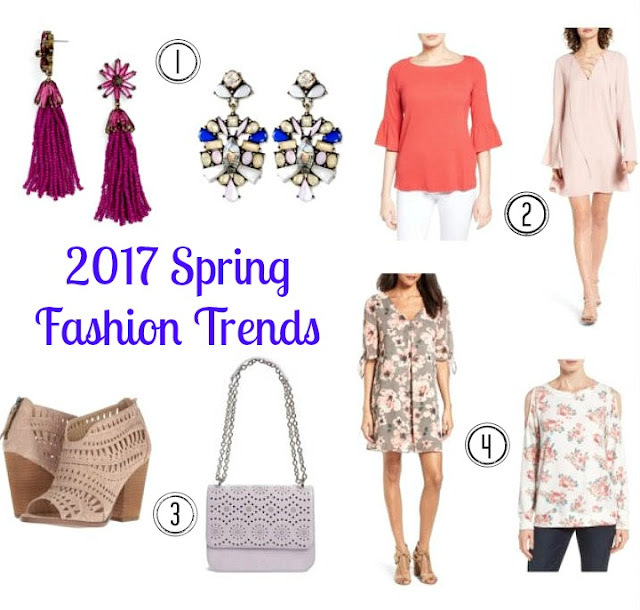 So, which of these spring trends is your favorite?? summertime pickup match with the bored teens of Mestia. I’m not sure I understood their instructions any better than you. Indeed, even with these favorable circumstances of shopping on the web, many people still don't trust internet looking for security reasons. Be that as it may, there are straightforward answers for this issue.